A long time resident of Guysborough County. Marta grew up in the sunshine state of California, USA; and attended El Camino College. In Nova Scotia, she is a graduated of NSCC with Business Administration. She is also bi-lingual Spanish/English and Real estate is her life! Whether you are buying or selling a property in Nova Scotia, she will take the time to listen to your needs and desires, and find your dream property! Your total satisfaction is her number one priority. 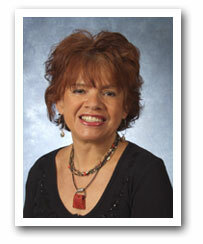 Marta knows the neighbourhood and she is experienced helping clients/customers with their Real Estate® transactions. Her marketing tools online and offline will give you the edge you need to sell your property. She has built a reputation for client satisfaction, and is devoted to making your move as easy as possible. You will have the added benefit of working with an agent who is experience in the business and understands your needs when buying or selling. Finding the right property is only the beginning..